Turbojav 300 grams / Mini Javelin 300 Ships Same Day! Masters Men 700 Gram Track & Field Javelin. IAAF Certified. Quality Backed with 1 Year Warranty. 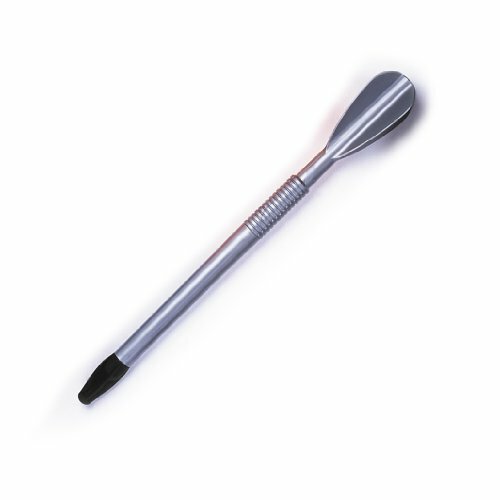 BUY ONE SCREAMER TURBOJAV-COLORS MAY VARY. The TurboJav is a youth throwing javelin implement designed for athletics programs for all abilities. They also develop correct throwing technique for many sports like baseball, football, cricket, etc. The TurboJav teaches the basic fundamentals and mechanics associated with any throwing motion. The TurboJav MINI JAVELIN was originally designed to teach beginner javelin throwers the same throwing fundamentals in a safe and fun environment. It is also ideal for the more advanced athlete to use as a training implement to improve their accuracy and technique. The Screamer has a sound system that can be activated by unscrewing the Turbojav and pulling out the plastic clip with tweezers. It comes with a fully charged battery that can be changed when it runs our of power. 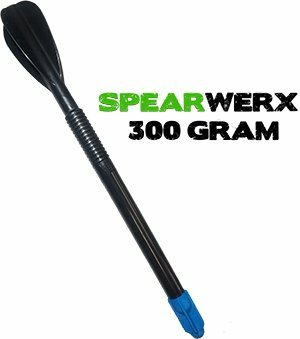 They last a long time if the plastic clip is put back in when not using screamer.The Screamer Turbojav makes a loud missile sound and explosion at end of 5-6 seconds. One taps the javelin to activate screamer and then throw at target or for distance. This a great training tool for kids. It comes in fun military colors. The battery inside can be replaced easily. Buy one Screamer Turbojav. Weights 300 Gram. 28" Inches long. COLORS may vary from picture as we offer 5 alternative colors. Easy to transport, can be used indoors and outdoors. Resistant and beautifully designed. Our products are made of special medical grade Polyethylene body and that has super soft elastomer nose for safety and durability. They can be thrown indoors or outdoors. All noses are non-marking for schools walls and floors. TURBOJAV IS MADE IN THE USA! Powered by Tom Petranoff. Tom is a former world record holder (99.72m) in the javelin throw, owner of Throwing Zone Athletics, and the inventor of the Turbojav. While Tom's sports background is well documented. He is a three-time Olympian, has held two world records and was ranked in the top 10 world rankings for javelin 17 straight years as an elite athlete. Boy's & girl's track & field Turbo javelin 400 gram. A training javelin. Provides the competitive feel of a real javelin. Colors vary. Quality backed 3 year warranty. Colors vary. Boy's and girl's Turbo javelin 400 gram. Track & field training javelin. Smaller in length than a traditional javelin. Provides the feel of a real competition javelin. Perfect for young athletes to develop form and throwing technique. Quality backed 3 year warranty. Colors vary. 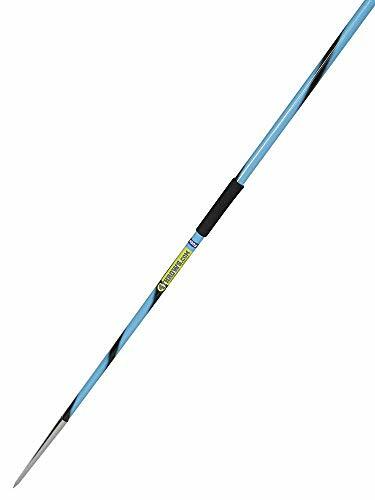 High school and middle school boy's and girl's of all ages Turbo javelin 400 gram. 28 inches in length. For athletes moving up in weight from the Turbo javelin 300 gram. Sturdy, durable, safe, affordable, and fun. Develop correct throwing technique. Can be thrown both indoors and outdoors. COLORS VARY from picture. Quality backed 3 year warranty. THIS IS ONE TURBO JAV, NOT 3. COLOR MAY VARY FROM PHOTO. PACKAGE CONTAINS ONE TURBO JAV. Our products are made of special medical grade Polyethylene body and that has super soft elastomer nose for safety and durability. They can be thrown indoors or outdoors. All noses are non-marking for schools walls and floors. TURBOJAVS are revolutionizing athletics and sport education with a 100% track record on safety and progress. It is also ideal for the more advanced athlete to use as a training implement to improve their accuracy and technique. It has a soft nose, which enhances the safety feature and allows it to be also thrown indoors. It's a perfect tool to improve the throwing mechanics for baseball to football, as it teaches technique and improves skills and accuracy. The TurboJav is a youth throwing javelin implement designed for athletics programs for all abilities. They also develop correct throwing technique for many sports like baseball, football, cricket, etc. The TurboJav teaches the basic fundamentals and mechanics associated with any throwing motion. The TurboJav MINI JAVELIN was originally designed to teach beginner javelin throwers the same throwing fundamentals in a safe and fun environment. It is also ideal for the more advanced athlete to use as a training implement to improve their accuracy and technique. The TurboJav is a youth throwing javelin implement designed for athletics programs for all abilities. They also develop correct throwing technique for many sports like baseball, football, cricket, etc. The TurboJav teaches the basic fundamentals and mechanics associated with any throwing motion. The TurboJav MINI JAVELIN was originally designed to teach beginner javelin throwers the same throwing fundamentals in a safe and fun environment. 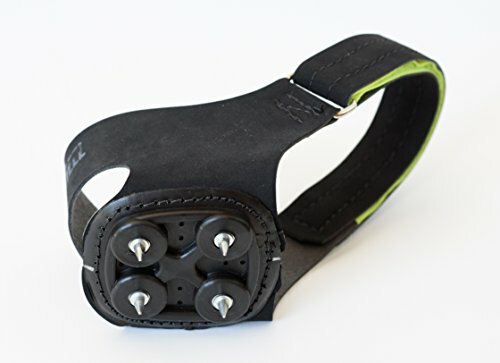 It is also ideal for the more advanced athlete to use as a training implement to improve their accuracy and technique. WARNING: Do not throw on a hard surface as the Turbojav might break. Turbojav / Mini Javelin 300 Ships Same Day! Men 700 gram track & field javelin. IAAF certified excellence. Easy to throw. Will not flutter. Colors vary. Competition 10.7 flex. Men age 50-59. Colors vary. Reward your efforts with excellent flight performance. Ships day of order. Your 100% satisfaction guaranteed. The TIP is made from HIGH-QUALITY stainless steel, so unlike our competitors, our javs. WILL NOT RUST. The Spear will look awesome as it TWIRLS through the air with its Vivid High Definition Spiral Paint job . Our Javelin Handles allow the thrower to take an I ncredible Grip . You will love the way it feels in your hand! Fluttering is negative to throwing because it creates more wind resistance. Our javs., with their stiffness, have less flutter and glide through the air which means they are ABLE TO FLY FARTHER. Unlike our competitors who ship in cheap cardboard, OUR JAVELINS ship in a Hard PVC Javelin Carrying Tube . FREE OF CHARGE! You will be throwing farther than you ever have before, with this beautiful, durable, and quality guaranteed Javelin! Click 'Add to Cart' right now and order yours today! [YOUR PERFECT JAVELIN] -The perfect javelin for any ELITE thrower! We want you to Throw Far, Break Records, & Look Good Doing It! [OUR QUALITY] - Made from premium tempered aluminum for optimal stiffness. Designed for throws up to 195 Feet / 60 Meters. [THE IDEAL FIT] - This javelin is Our Best Seller, Parents Top Choice, & Coaches Favorite! [CERTIFIED] - Complies with ALL NFHS, NCAA, USATF & IAAF Specifications. Buy it. Throw it. Love it! [1 YEAR WARRANTY] - Coverage over ALL manufacturing defects. We stand by our product. Women's 600 Gram 35 Meter Track & Field Javelin. Flashy Bright Yellow. Navy Grip. 1 Year Warranty. Best selling Women 600 gram 35 meter bright yellow track & field javelin. Navy grip. 1 year warranty. Best selling Men age 60 to 69 600 gram 35 meter track javelin. Best selling beginner Women 600 gram 35 meter track & field javelin. Signature bright yellow with navy grip. 1 year warranty. Train & compete with the very best High School 600 gram 35 meter track javelin. Improve specific skills. Increase your throwing distance. The right javelin makes the difference in your progress. Our award winning advanced highly aerodynamic design helps you build confidence. Set your new personal record. Self belief is rewarded throwing out top rated superior quality 600 gram 35 meter female track & field javelin. Extreme durability. Balanced for optimum performance. Best selling Men age 60 to age 69 600 gram 35 meter track javelin. Masters 600 gram 35 meter track & field javelin. [YOUR PERFECT JAVELIN] - The perfect javelin for any beginner thrower! We want you to Throw Far, Break Records, & Look Good Doing It! [DESIGNED JUST FOR YOU] - Designed specifically & only for TRAINING purposes. Please see our 4Throws Competition javelins for Competition Meet-Ready Javs. [THE IDEAL FIT] - THE BEST BANG FOR YOUR BUCK! Equip any thrower without braking the Bank! [OUR QUALITY] - Designed for throws UP TO 130 Feet / 40 Meters. Buy it. Throw it. Love it! Men 800 Gram 60 Meter Track & Field Javelin. Flashy Bright Green. White Grip. 1 Year Warranty. Best selling Men 800 gram 60 meter track & field javelin. Cool bright green color. White grip. 1 year warranty. Men 800 gram 60 meter javelin throws require strength, speed and technique. Throw in mechanical factors such as velocity, angle, height at release, center of gravity and center of pressure. Your self belief mastering all this is rewarded throwing our advanced highly aerodynamic design. Choosing the right 800 gram 60 meter javelin makes the difference between good and great. Precision made superior quality. Extreme durability. Optimum performance. Train & compete with the very best 800 gram 60 meter track & field javelin. 1 year warranty. Thrown by aspiring top professional and amateurs worldwide. Great investment in your future throwing distance. Set your new personal record. Men's & High School boy's 800 gram 60 meter Track & Field Javelin. 7.8 flex, rated up to 195', Blunt tip tailwind, blunt point balanced to attain greater distance for Intermediate & beginning track javelin throwers. Colors vary. Track & field Javelin. Adult Men College High School Boy's 800 Gram 60 Meter track javelin. Match your skill set potential throwing our award winning 60 meter javelin. Rated up to 195 feet. Best Performance. Best Price. Equipment makes a world of difference to get an edge over your competition. Working with our top rated 60 meter javelin helps you train at a higher level. You are committed to your training, performance, and results. Improve every day. Mental toughness. Self belief is rewarded throwing our best selling 60 meter 800 gram track javelin. Discipline and training is everything. So is your choice of 60 meter javelins. Make the positive choice between good and great. Blunt tip tailwind 7.8 flex designed to help intermediate to advanced skill level athletes throw thru the tip. Delivers ultra response performance. Colors vary. ABS plastic javelin carrying tube that adjusts for 600g and 800g javelins. Holds 5-7 javelins. Includes shoulder strap. Product value and life experience means as much as a great price. At Northwest Athletic Supply you get it all. Great product. Great performance. Great price. You will be very pleased with the value and performance at this price. Money well spent. Best quality at an affordable price. 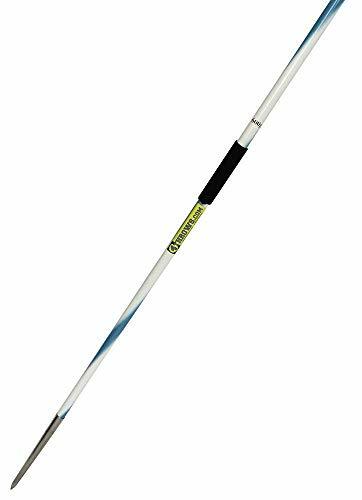 This 600 gram javelin is designed for beginner to intermediate Lady throwers age middle school thru age 49. Rated up to 160 feet. Made from premium quality tempered aluminum. Meets all high school and NCAA specifications. Unlike others we back up our craftsmanship with a one year warranty. Looks great. Flies great. Throw it. Love it. Have a blast. Women's 600 Gram 45 Meter Track & Field Javelin. High School Girl's 600 Gram 45 Meter Track & Field Javelin. Quality Backed one Year Warranty. Women intermediate distance skill level 600 gram 45 meter track & field javelin. High school girl's intermediate distance skill level 600 gram 45 meter track & field javelin. Women intermediate skill level 600 gram 45 meter track & field javelin. High school girl's intermediate skill level 600 gram 45 meter track & field javelin. College teens intermediate skill level 600 gram 45 meter track & field javelin. Quality backed one year warranty. Increase your distance with this one. Great investment in your future throwing potential. Sweet flight in the right hands. This is our elite female 600 gram 45 meter javelin. Individually put together by professional craftsmen. Quality is unsurpassed. Feels right in your hand. Easy to grip. Easy to throw. Our best seller. Packaged neat and safe. Get it on time. Buy our best and keep for life. Your 100% satisfaction guaranteed. Designed to fit 800 gram javelins. Required in North Dakota, New Jersey, Alabama, and Washington. 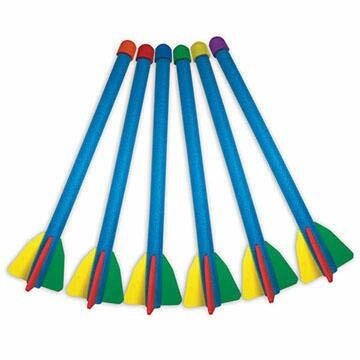 The Zone Bull-Nose Weighted Foam Javelins -- Weighted head stabilizes javelin during flight! Features a reinforced shaft for extra support, three 6.5" fins for better flight and a rubber weighted tip for stability. Can be used indoors or outside. Measures 35"L. Sold in a set of 6. Weighted head stabilizes javelin during flight! Features a reinforced shaft for extra support. Three 6.5 fins for better flight and a rubber weighted tip for stability. Measures 35L. Sold in a set of 6. Javelin Carrying Bag (6 Javelin Capacity) Bag will hold all sized of javelins from 500gram to 800 gram sizes. Protect your javelins and get them to practice or the meet in style! Our SPEARWERX Javelin Bag holds up to 6 javelins. The bag is 106" x 8" with a heavy duty zipper and reinforced ends to protect the bag from the javelin tips and tails. The bag will hold all javelin sizes up to 800 gram javelins. The bag also comes with a carrying handle. Designed to fit 600 gram javelins.